Are All-Star Teams the Way of the Future? 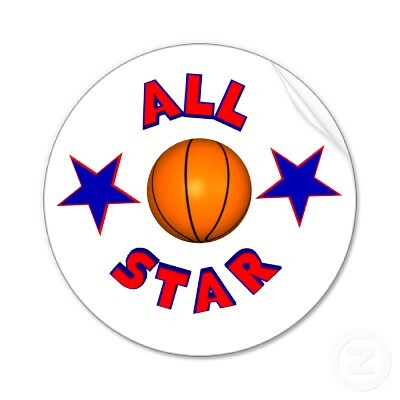 Of course there's nothing like the all-star game in any sport, but it seems all-star teams are becoming a growing trend in NBA basketball these days. The 1996-98 Chicago Bulls definitely had its share of stars, but nothing quite like what we're seeing today. The Lakers tried it in 2003-04 but were unable to synch a championship with Shaq, Kobe, Karl Malone, and Gary Payton all on the same squad. Most recently, the Celtics have found great success with their big 3 (Paul Pierce, Ray Allen, and Kevin Garnett), but having Rajon Rondo and Kendrick Perkins doesn't hurt one bit. This team is actually comparable to the Bulls of the 90s, as they have young stars contributing, and the big stars are at more mature points in their careers; looking for teamwork and wins, not so much solo shine. One of the biggest examples of this trend is obviously the new-look Miami Heat, with 3 young stars, all pretty much used to their own shine. Rumors have even begun to spread about Carmelo Anthony going to the New York Knicks, joining Amar'e Stoudamire. Well, we can't say the Knicks don't need the help. So what do you think B.A.F.F.L.E.D. Readers? Are all-star teams the way to go? MJ, Magic, and Barkley were against it, but let's hear your thoughts!